Since the day Jesus got followers, there were serious people who loved to follow everything Jesus told them to belief and to do. Many of them had to bring a lot of changes to their life, which was not always received kindly by family and friends. But they found it more important to take actions under the Law of Christ, doing the Will of God Like Jesus also wanted only to do the Will of his and our heavenly Father. The beliefs and practices of the Christadelphians can be traced from the New Testament to the earliest Christians of the 1st and 2nd Centuries in documents such as the Epistle of Clement, The Didache and The Apostles’ Creed. With the advent of religious freedom in Europe in the 16th Century Reformation and the the Antitrinitarian Council of Venice in 1550, the same beliefs and practices resurfaced in Bible-minded groups such as the Swiss Anabaptists and Polish Socinians. The early English Baptists held similar beliefs (although these beliefs are not held by Baptists today and at the turn of the 20th century many left the Baptist community because it had become more and more trinitarian). In the 18th Century many leading figures in the Enlightenment such as Sir Isaac Newton and William Whiston held these beliefs. In the world of the Christian religion many times people found it necessary to react against the activities of religious behaviour or against the way of living at that time. Early in the 19°century lots of people did not like how things were going in their country and looked for better pastures somewhere else. Going from one place to an other far away place they had lots of time to think about their and others way of life and about the world they were living. They also were confronted by the beauties of nature and looked for the Hand of God. The modern Christadelphian movement has its origin in the 1830s, an age of revival and reform in America and England. The British medical doctor, John Thomas (1805-1871), whose family descended from French Huguenot refugees, emigrated to America in 1832 where he joined a group of evangelical Christians, the Campbellites. He disagreed with their beliefs and pursued his own study of the Bible. In May 1834 the first issue appeared of his magazine the Apostolic Advocate (1834-39). He began to believe that the basis of knowledge before baptism was greater than the Restoration Movement believed and also that widely held orthodox Christian beliefs were blatantly wrong. His difference on the works we should do to be able to come in the Kingdom of God and the preaching of these beliefs as necessary for salvation met with a lot of controversial debates particularly between Dr Thomas and Alexander Campbell. For him it was clear that be baptised was not always a clear way to the hope we all should have, to inherit the Kingdom. In 1843 Dr Thomas was introduced to William Miller, the leader of the Millerites, and agreed with their belief in the second coming of Christ and the founding of a millennial age upon His return. Going around the New Country he encouraged many to study the Bible and those Bible Students in turn created small groups or home-churches were they tried to go back to the way the first Christians worshipped. Exchanging his ideas with many other enthusiast Bible students he started bringing all their ideas together and putting them in order. Sometimes it is held against him that he took ideas of different denominations and formed his own sort of faith, but he found what was right should be kept and what was false or doctrinal teaching should have to be abandoned. 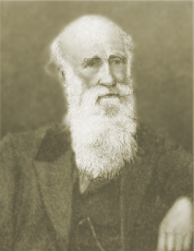 He arrived at his unique interpretation of various Bible doctrines by about 1848 and attracted a small group of followers who were, at first, known as 'Thomasites'. John Thomas published the magazines The Herald of the Future Age (1843-49) and Herald of the Kingdom and Age to Come (1851-61). His writings from writings from 1845-61 were posthumous published as Faith In the Last Days. The Herald of the Kingdom set out Bible teaching on the resurrection and the Kingdom of God. On 1 January 1834 in Philadelphia John Thomas married Ellen Hunt who became his lifelong companion and constant support throughout the trials of faith that persisted throughout his life. John Thomas made never a claim to any vision or personal revelation and wanted never to be seen a a prophet. In Britain a journalist named Robert Roberts took up the same cause in the Ambassador of the Coming Age. Thomas and Roberts made no claims to any vision or personal revelations - only to try to be honest students of the Bible. In 1854 Bro. John Thomas wrote in the Herald of the Kingdom and Age To Come a "Constitution Of the Royal Association Of Believers In New York" which was also published as The Old Man and The New Man In The Coming Tribulation. When the American Civil War broke out in 1861 those Christian groups who did not fight were required to register with the Union government. Sam Coffman and other brothers in Ogle County, Illinois, registered themselves as "Brethren in Christ, or in a word Christadelphian". This name was soon adopted by many like-minded groups of believers in America and Britain. Since then, independent Christadelphian groups have been established in countries all over the world. Those Bible students did not want to be lovers of the world but make sure that they came together as loving of the law of God, finding it a characteristic of the faithful, who search the Scriptures daily as circumstances allow. The man who is mainly responsible for having a worldwide community under the name of Christadelphians or having several Brothers in Christ adhering to the teachings of Dr. John Thomas is the son of a captain of a small coasting vessel, Robert Roberts, born in Link Street, Aberdeen, Scotland (1839 – 1898). After he had come across a copy of a magazine, belonging to his sister, entitled the Herald of the Kingdom and Age to Come, by Thomas, when in his teens he started his Bible studies in earnest. The reading plan, later published as The Bible Companion, to facilitate his daily systematic reading of the Scriptures he developed is still followed by many Christadelphians and other Biblestudents. He married Jane Norrie in Edinburgh on April 8, 1859. They had 6 children, only three of whom survived into adulthood. Christadelphians want to follow the teachings of Jesus Christ (Jeshua) and would love to become like the Nazarene man, only doing the will of God. In the Christadelphian faith each person is responsible for himself and has to make their own choices, this with the knowledge that every man's work is always a portrait of himself. For Christadelphians it is not persons or organisations that we do have to follow, but we may not be so bounded to the world that we keep to the traditions of that world. Everything what is against the Word of God and against the Will of God, we should avoid to be connected with. Each of us has to make sure to whom we want to be enslaved, man or God. Christadelphians are convinced that the God of gods is a loving God Who has given His Word for humankind as a guide and a message which can build us up. We should take it at heart so that it can bring us as individuals to faith in God and His Son and can make us to become one part of the sharing community which should be part of the Body of Christ, all having God's hope as our hope. All believing in only One God, Who has given us His son as the only one mediator between God an man, for salvation, should come into Fellowship to help each other to grow if faith. Christadelphians do believe that it was God Who sent his one and only Son into the world that we might live through him. As parts of the body of Christ we should take all opportunities to share a love like brothers and sisters, reading and studying the Bible, as our only authority, with each other. Together the Christadelphians do look forward to the return of Christ at the Last Days, believing that he will return in power to set up a worldwide theocracy beginning at Jerusalem. Though they believe that we do not know when the Messiah shall return, the Christadelphians believe the world can see the signs of the days coming to an end and that we should prepare ourselves to be ready to enter the Kingdom of God. For the Christadelphians no one is infallible. We all have our own shortcomings. They also believe each of us has to work on their own failings but should also be prepared to help others to overcome their inadequacies. This helping each other should be done in agapé or brotherly love, together tasting a great promisse of being renewed under Christ. The Christadelphians want to show the world that not all christians are followers of a Greco-Roman culture, and that we best take care to come to live according to what the Bible teaches. With Power in their life they do find it important to come together at regular times. But their meetings or not dependent of one greater organisation; All Christadelphian groups have their own independence. Following the teaching and example of the Apostle Paul all Christadelphians aim to support themselves and their family by honest work. Certain professions (politics, the military, the police, criminal law) are avoided. (I Timothy 5:8; 2 Thessalonians 3:6-12) For the work of God, the work in the ecclesia, the preaching, the members are not paid for and as such always do have to provide for their own means to live properly. They want to be an open community welcoming everybody without any distinction for culture, race or colour. all people are considered to be created in the image of God and being part of creation and as being a creature of God should be respected likewise. Christadelphianism is nothing more nor less than the result of that principle that God intended men to make themselves acquainted with the Bible, the word of God, and to embrace what it teaches, and reject what it denounces, however many may be arrayed against the conclusions to which the study of it may lead them. All over the world there are different Christadelphian groups which may have or may not have any connection with each other. Most of them are belonging to one of the main deviations like the Amended, Unamended, Central (with the CBM-mlembers), Bereans, Dawn Christadelphians, Carlinks, Christadelphian Bible Students, or are just Free Christadelphians. Some other groups also may be considered belonging to the Christadelphian breed: Nazarene Fellowship, Nazarene Friends, Church of God of Abrahamic Faith, Abrahamic Faith church, Commandments of Christ, Remnant of Christ's Ecclesia ,United Shepherds, Restoration Fellowship, Restoration church, a.o..
All of the members are free to read whatever theological writings and no Christadelphian writer is considered to have all the knowledge and power. they themselves also not consider themselves as pope, bishop, theologian, or a prophet every Christadelphian should believe in and follow. 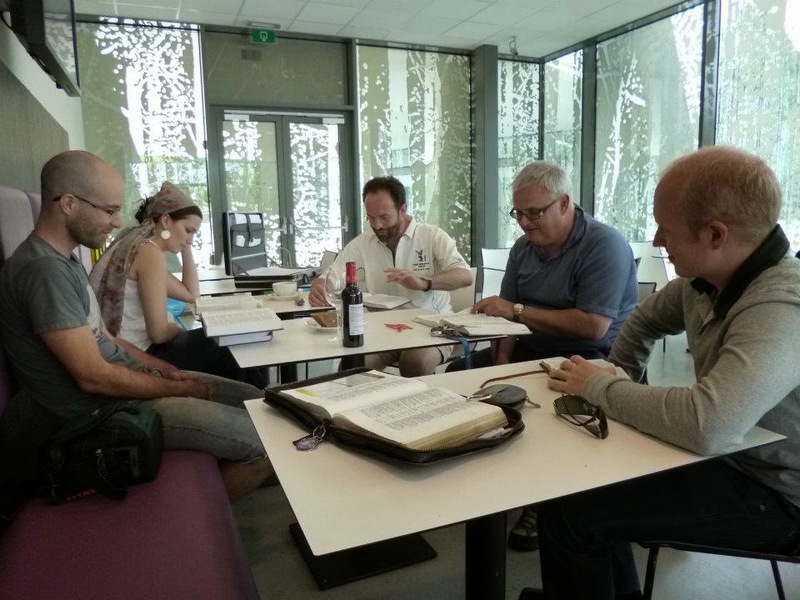 Each Christadelphian is free to express himself or herself and every ecclesia, wherever in the world is free to organise its own ecclesia as they want. there is not a central committee that decides everything for all the Christadelphians over the world. They all are under Christ, liberated and as such not bounded to any man or organisation, but to Christ. Last Events Of Old Testament – Right or Wrong ?